Wearing Muslim garb teaches one high-school student a lesson in tolerance she never expected. 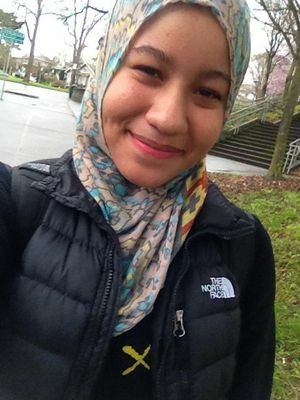 She was walking home from school, with traffic rushing all around, when Zion Lourdes Perez tore off her hijab. Feeling like a target at 15 was nothing she’d imagined when she decided, on a lark, to wear the head scarf worn by Muslim women. Perez, raised Catholic, is a co-founder and president of the Muslim Student Association at Franklin High, and while many students tried on the covering for an hour or two during “modesty week,” Perez wanted a deeper understanding of what it meant to broadcast religion on one’s sleeve — or head, as it were. The experience last year made her think about Jews forced to wear yellow stars during the Holocaust. But Perez had intended to wear the hijab for a full week, not just a few hours, so the next day she put it on again. South Seattle is often described as the region’s most diverse neighborhood. But even as an ersatz-Muslim, Perez felt safe only within Franklin’s walls. Other students echo this perspective. During a workshop at the school recently to honor the legacy of the Rev. Dr. Martin Luther King Jr., Perez and 40 other teens gathered to talk about “Islamaphobia” in the wider community. Most of the Muslims reported being followed or gawked at as soon as they stepped beyond their hilly campus. Only one white student, Samuel Aronwald, was present to listen. The number of Muslim youth at Franklin has ballooned in recent years, but many other students have little knowledge of the culture. 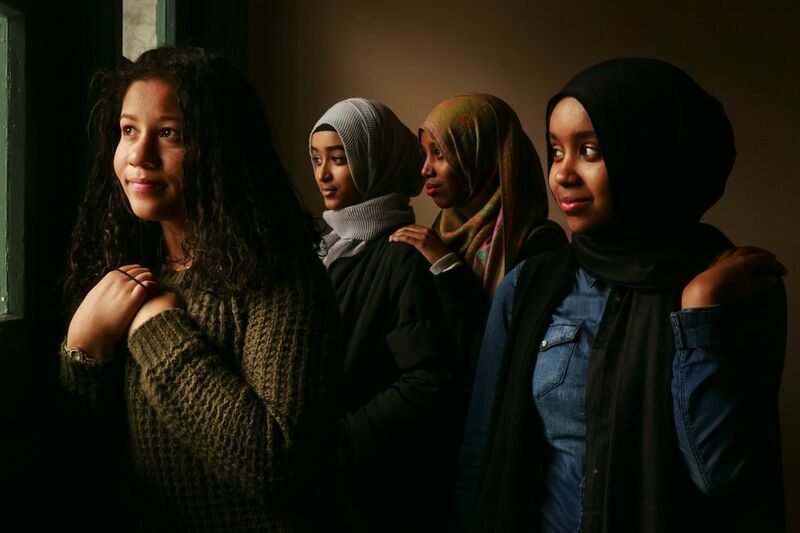 “They’re wrestling with really complex issues,” said Principal Jennifer Wiley, who met with a group of frightened youths in December to talk about the death of Hamza Warsame, a 16-year-old Muslim who died after falling from the roof of a building on Capitol Hill. Early rumors speculated that he had been the victim of a hate crime, but Seattle police have since determined Warsame’s death was an accident. The type of transformation Aronwald described was what had inspired Perez to help create the club, one of only two in the Seattle School District, even though she is not Muslim. Wearing the hijab had been a curiosity at first. But weathering stares on the street those first few hours created in Perez an unexpected resolve to keep it on. After a few days, her friends stopped noticing. Soon enough, she forgot about it, too. Information in this article, originally published Jan. 17, 2016, was corrected Jan. 18, 2016. A previous version of this story incorrectly stated that Hamza Warsame died from a fall from a building on the Seattle Central College campus. The building is on Capitol Hill, but not on campus. Also, the story earlier referred to the Muslim Students Association. It is the Muslim Student Association.